Principal Cast : Johnny Depp, Morgan Freeman, Rebecca Hall, Kate Mara, Cillian Murphy, Cole Hauser, Paul Bettany, Clifton Collins, Cory Hardrict, Josh Stewart. Synopsis: A dying man transfers his soul into a supercomputer, desperate to live on. When he achieves sentience, he begins to undertake to improve the quality of human life, only his achievements begin to strip humanity of the very thing it desires most – autonomy and self-awareness. What we think : A lumbering screenplay and inadequate plot threads bring Transcendence down from the insta-classic it so badly hopes to be. 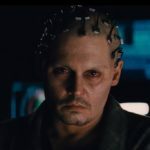 Characters are ill defined, the story snoozes through a turgid second act, and Depp disappears from the screen (figuratively) for about an hour of this movie, leaving audiences scratching their heads as to what, exactly, was the point of it all. Ultimately, a misfire, although you kinda get the sense that the intentions were motivated by a desire for conversation about a future which may yet still come to pass, which should elevate the importance of Transcendence’s overriding premise. Is there an actor working today who is as divisive in his career choices as Johnny Depp? Aside from starring in a number of Disney backed mega-projects, such as the enormous turkey reboot of The Lone Ranger, Tim Burton’s CG-fest version of Alice In Wonderland, and a creepy reboot of Charlie & The Chocolate Factory, Depp’s main poplar franchise remains the inexplicably successful Pirates Of The Caribbean series. 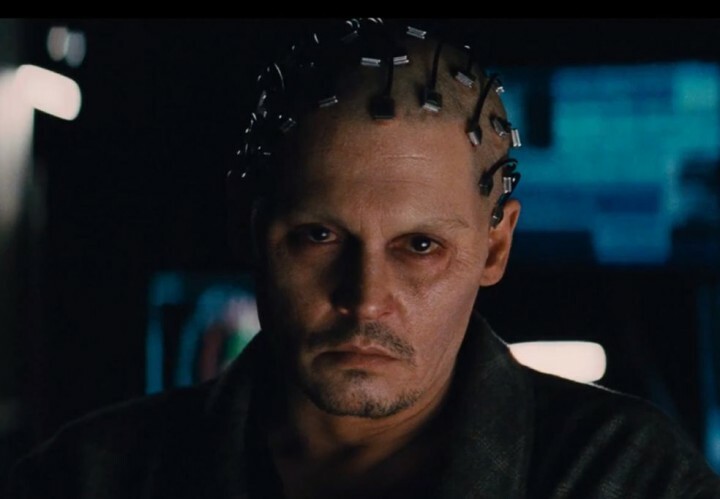 When he’s not essaying Jack Sparrow, Depp’s cinematic output has ranged from lethargic to stupid to flat-out idiotic, so one approached Transcendence with a sense of reticence that the notoriously kooky actor would either sink or save cinematographer Wally Pfister’s debut directorial effort. Pfister, better known for lensing films like Inception, The Dark Knight and The Prestige for Christopher Nolan, helms Depp in the lead role, in a futuristic, sci-fi philosophizing jaunt that asks many questions about what constitutes intelligence and “life”. Devin knew the job interview wasn’t going well when the FBI showed up. Doctor Will Caster (Johnny Depp) and his wife, Evelyn (Rebecca Hall) are at the cutting edge of artificial intelligence in technology. Both are working to develop a fully autonomous (sentient) computer, ostensibly to aide humanity in a variety of ailments such as curing cancer and Alzheimers. After the pair and their team, as well as several facilities around the country, are targeted by an extremist group known as RIFT (Revolutionary Independence From Technology), led by Bree (Kate Mara), Will is shot. Although only wounded, it is discovered that Will has in act been poisoned by radiation within the bullet, and has only a month or so to live. Desperate, Evelyn, together with Max (Paul Bettany), Will’s best friend, decide to run a risky experiment to upload Will’s consciousness into a computer in order to preserve his essence, even after his physical body dies. The pair succeed, although the computerized Will begins to exhibit increasingly exceptional ideas as he spreads through the world wide web. As fellow AI expert Joseph Taggert (Morgan Freeman) and FBI agent Donald Buchanan (Cillian Murphy) begin to uncover Will and Evelyn’s new plans – including building an enormous data facility out in the desert to house Will’s growing appetite for expansion, developing nanotechnology and even the ability to regenerate bodies – it soon becomes clear that the computer Will won’t simply stop at helping humanity; he might actually try and control it all. Disappointed frustration. That’s the feeling I’m left with in the wake of viewing Transcendence. As a premise, I was excited – the film’s plot evoked such sci-fi classics as 2001: A Space Odyssey, The Lawnmower Man, and Virtuosity – and I felt with modern film-making styles, such concept wouldn’t be out of the realms of actually feeling legitimate. After all, we’re really not that far away from really building a self-aware computer. If they call it Skynet, I’m out of here. 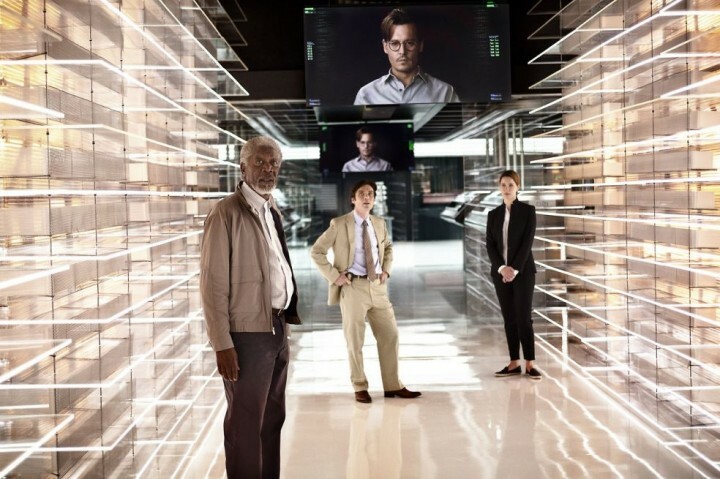 Transcendence plays with the idea of technology and humanity combining at the most unexplained level, at the level of a person’s very soul – or what this film believes is the person’s soul. 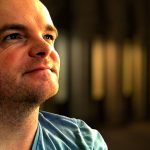 The ability to upload a person’s memories, thoughts and ideas into a computer, almost as if you’re designing a new addition for the App Store, isn’t something new in the world of science fiction, although I don’t think I’ve seen a film take the subject matter quite as seriously as this films does. Indeed, Transcendence is a largely humorless affair, a Shakespearean tragedy wrapped up in Wally Pfister’s glorious photography (the film was actually lensed by Jess Hall, who shot Hot Fuzz for Edgar Wright, and another Paul Bettany flick, Creation, among others), and yet even though it takes this serious examination of souls and intelligence and “what makes us human” and runs with it, the film never coheres like it should. 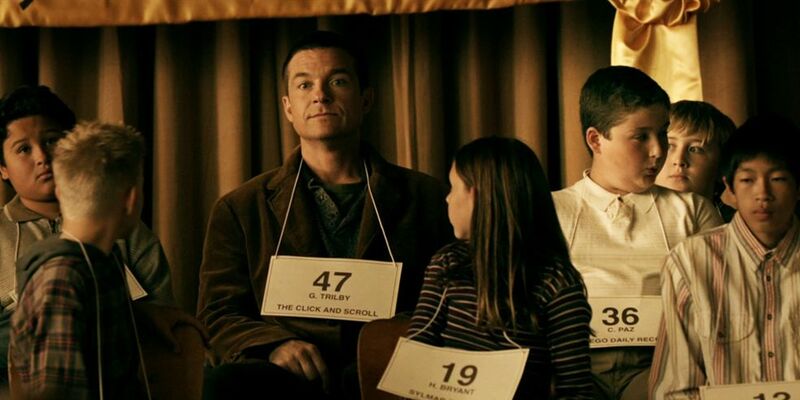 The weird disconnect between me and the character is something critical to this film’s failure or success. There’s something creepy about all this empty shelf space. Problematically for Transcendence is the fact that the characters, particularly Evelyn, don’t touch the audience as believable. Depp and Hall look nice, and act nice, but you never get the sense that their love will conquer death to the point of maturing inside a computer. Depp seems to phone it in here, with his role as Will consigned to spending most of the film as a CG projection on a screen; he appears in the opening act as a real person, and again later in a last-act denouement, leaving his emotional journey to founder considerably when he’s not “alive” within the movie. Rebecca Hall’s role as his loving, desperate wife is underplayed by Pfister’s direction, lacking the raw gut-punch needed to make us believe she’d really think soaking her husband’s brain up into a PC is his last/only hope. Instead, she’s purely selfish, unwilling to let go – and sadly lacking in friends who would get her to listen to reason. I get the plot’s arc needed her to be that way at the start, in order to come to a realization later in the film, but the script, or perhaps Pfister’s inability to really delve into the character as much as he ought, doesn’t do it justice. I’ll give you fifty bucks if you go and knock ’em over. The cast, aside from Hall and Depp, are solid enough, although most of the time it’s only Bettany who manages to shove aside the leads for any decent time. Morgan Freeman and Cillian Murphy look suspiciously like they’re sleepwalking through their roles, while Kate Mara’s bitchy, dedicated rebel character of Bree lacks any kind of development other than as a walking cliche. 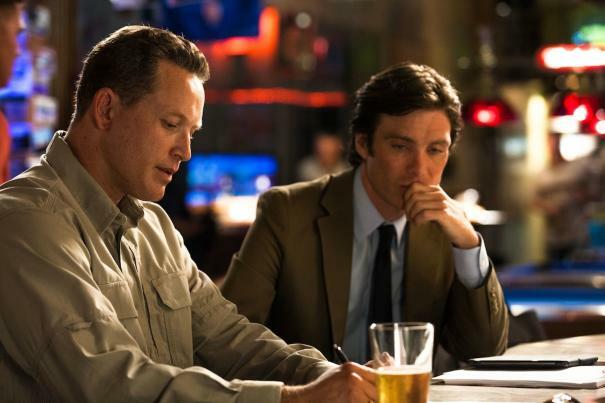 Cole Hauser shows up late in the film as a military commander tasked with stopping Will’s advance across the planet, but his role is a nameless, utterly faceless waste. No, Transcendence spends a large proportion of its energy – the film runs in at two hours, including a mind-bending 9-minute closing credits sequence! – focusing on Will and Evelyn, although as mentioned earlier neither are given anything groundbreaking or interesting to really sink their teeth into. Pfister seems more concerned with how the film looks than how it feels, something a great director would know to avoid. That’s not to say Pfister won’t learn this craft, but this is a misstep for his debut outing in charge. Script meeting for a Transformers movie. Considering the pedigree in front of, and behind the camera, it’s hardly surprising that Transcendence at least looks amazing, even if the story isn’t as involving as you’d hope. Pfister’s command of cinematography ensures that the film’s crisp, razor sharp lensing and stately use of CG and visual effects, are as impactful as they can possibly be. A fair portion of the film is shot out in a desert landscape, the dry dusty vista of middle-American desert looking an absolute treat, while the use of CG within the context of Will’s personification on the screens and around the data center, are equally smooth and silky. Mychael Danna’s score seems entirely composed of ambient music; there’s not a theme anywhere amongst the soft bum-bum of his percussive electronica, as if the music was composed for a slightly rough elevator ride and was somehow transposed over to a film score. Danna’s done some solid work in the past, (500) Days Of Summer, Surf’s Up and Life Of Pi are among his credits, so it’s baffling as to why this film was scored in such a minimalist manner. The film’s story is relatively low key (at least until the end, when the howitzers come into play – because explosions!) and I guess the score reflects a more contemplative, relaxed, methodical style, but instead of accompanying the film’s themes and tones with enhancing music, it just becomes a showcase of rolling ambient hold music. The themes and ideas behind Transcendence are ones I find largely unfulfilling after watching. It’s a valiant attempt to try and tease out some manner of ideological examination on the dangers of human knowledge and technology, and fret about how an unsanctioned AI might somehow take over our world (it’s a staple of sci-fi, really) but as an experiment in giving it a human element of emotion, or tension, the film falls apart. It’s beautifully shot, generally well acted where it can be, and tickles at least a few of the brain cells devoted to existential ponderances, but if it’s quality entertainment or cohesive narrative complexity you crave, you’ll find Transcendence a fairly bland movie experience. A shame, because this film really could have pushed the envelope; in its hurry to turn Depp into an approximation of The Matrix screensaver, somebody forgot to give us characters we could really care about. Boasts some interesting ideas, but ultimately, never seems to go anywhere with them. Good review Rod. Thank dude. I liked some of the ideas they put forward in this film, but they didn't do them justice. Such a shame. I haven't seen it yet because I have pretty much avoided all things Johnny Depp but your thoughts sound the same as every other review I read. Big miss with wasted potential. Such a shame, given the rest of the cast. Depp aside (who offers very little by way of charisma or interest to this film), Transcendence had a lot working in its favor. As you point out, it's a great shame that a cast this talented, and a team of film-makers this skilled, couldn't make a better film.